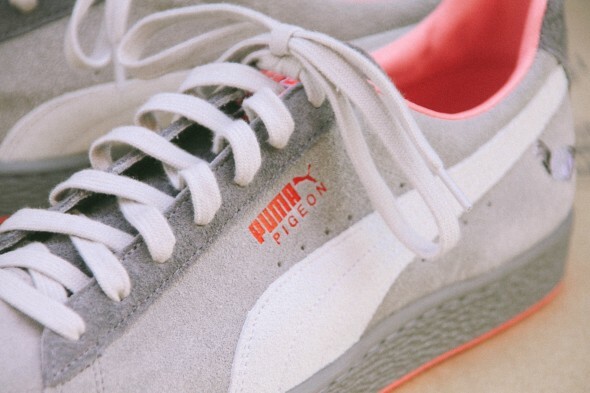 Staple x PUMA Suede "Pigeon"
Jeff Staple and PUMA officially unveil the "Pigeon" Suede, a new collaboration hand-crafted in Japan. 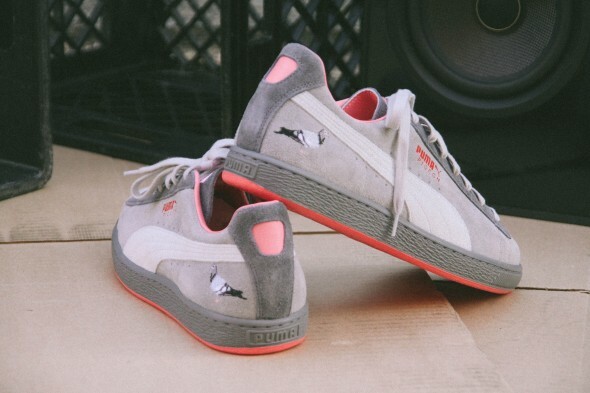 Jeff Staple and PUMA officially unveiled the "Pigeon" Suede yesterday, a new collaboration hand-crafted in Japan. 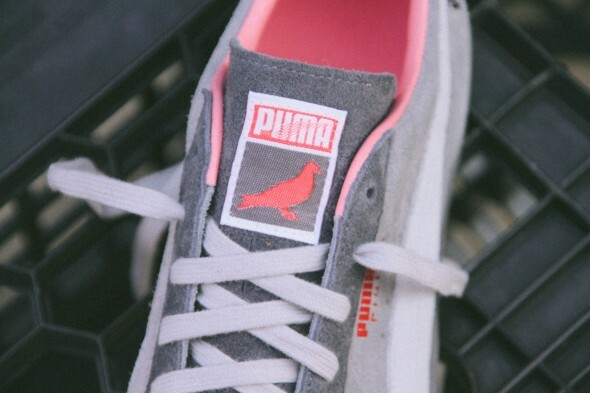 Limited to 500 pairs worldwide, the "Pigeon" Suede features the signature Staple colors, with two shades of grey supporting white and pink accents, along with a pigeon graphic at the heel. 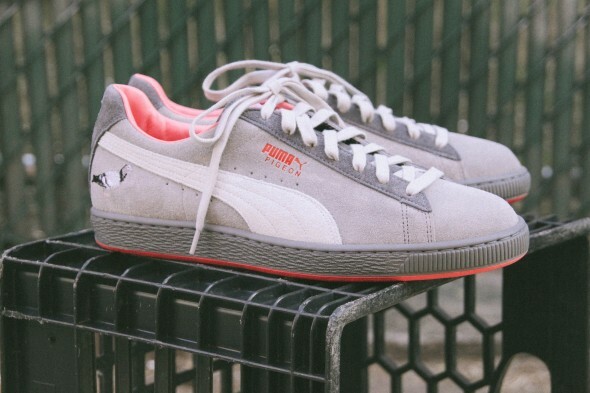 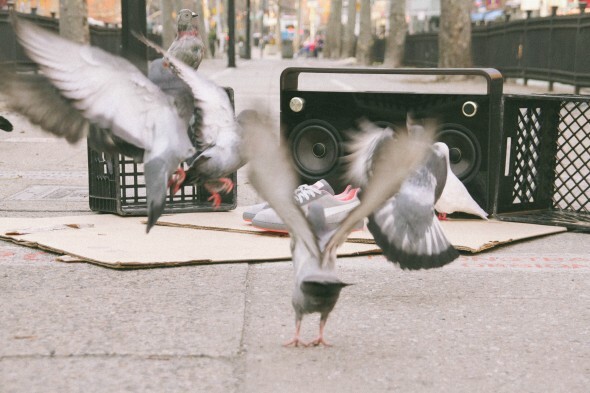 The Staple x PUMA Suede "Pigeon" will first release at Staple's Reed Space shop in New York on April 17, followed by a select global release on May 3. 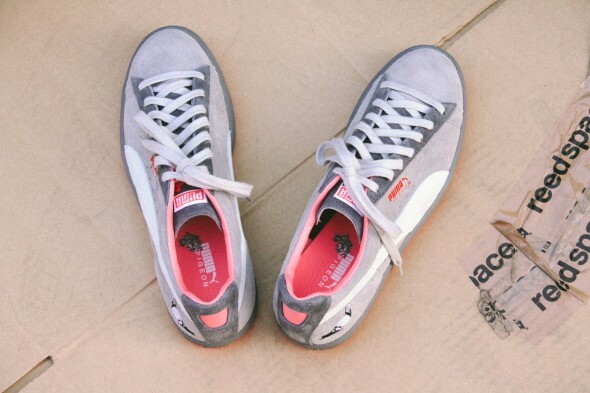 Retail price is set at $200 USD.